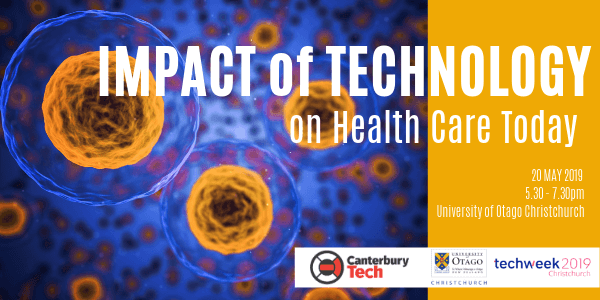 Join us at our next event held in conjunction with the University of Otago Christchurch at Tech Week 2019. Technology pervades many aspects of our lives these days and health is no different. 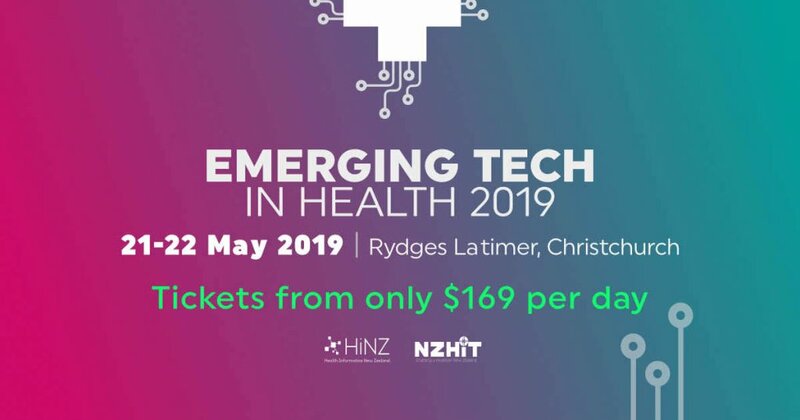 During this Tech Week session, we will hear from six people ranging from an IT company expert to health professionals and researchers from the CDHB and the University of Otago Christchurch, who are advancing healthcare through technical applications. Several of these technologies are in use at CDHB and they range from 3D printing of new tissue to Virtual Reality, and from advanced imaging to specialised patient management systems. Cost: Free for Canterbury Tech members, $30 for non-members. Stella is the inaugural CDO for the Canterbury DHB and the West Coast DHB. This role provides strategic leadership and governance to ensure current and future technology contributes to the transalpine vision of an integrated health system – “One System, One Budget”. Stella also has a number of Executive Portfolios that include the Christchurch Health Precinct and Health Innovation (via Innovations Executive Director). She also chairs the Executive Leadership Committee for the NZ Health Innovation Hub which is a partnership between the three biggest DHBs (Auckland Canterbury and Counties Manukau). The overarching purpose behind these areas of innovation is to accelerate smart ideas, products and services to improve health outcomes. Our vision is of an integrated health system enabled by integrated information systems. This presentation will explore the good, the bad and the ugly of our journey so far and showcase the journey ahead. Saxon has been an HPB Surgeon at Christchurch Hospital since 2005. After completing his RACS training in NZ he spent 4 years in the U.K. completing HPB training. His research interests have focused on clinical issues including safe cholecystectomy, bile duct injury, minimally invasive pancreatic necrosectomy, enhanced recovery surgery and post pancreatectomy pancreatitis. He has taken a role as the e-clinical health lead for the Canterbury district health board with the aim of helping to establish a digital health system. He has been involved with tech companies bringing electronic workflow solutions for clinicians from concept to production. Since 2008 he has been an Editor of HPB and sits on editorial boards of the World Journal of Surgery and British Journal of Surgery. He is on the council of APHPBA and the research committee of the IHPBA. He is an e-tutor for HPB and has published 125 articles including, book chapters and videos. Peter is a practising MRI MIT and is currently the MRI team leader at Canterbury District Health Board (CDHB). Peter is passionate about embracing new technology to improve the experience in the health care setting. Peter Is working with Ian Taylor from Animation research limited to build content for his clinical work. High levels of sedation for many procedures are used in the Canterbury Health System driven in part by increasing levels of mental health issues and anxiety. Peter Dooley Team Leader of MRI at Christchurch Hospital strategy is to use Virtual Reality in a cost-effective, safe and engaging way to inform and build trust in young patients. By putting children in a simulated reality, it would give them back some control of the experience and provide a means of understanding what would be happening to them. To experience, albeit, in an imaginary way, the procedure would allow children to stay in better control of their emotions and negate the need for sedation. David Carter is one of the founders of Stratos Technology Partners, a Christchurch based software company that specialises in custom cloud software and Office 365 development. A software developer by background he has been very involved in the functional and technical design of this solution and has been invited to speak at a number of Microsoft events showcasing its success. Stratos have built a cloud health application for managing patients with chronic conditions that is hosted in the Microsoft Cloud. This presentation will reflect on the lessons learned during this process and the benefits that clinicians and patients are realising from having a cloud-hosted application. Tim Woodfield is Associate Professor of Regenerative Medicine and Rutherford Discovery Fellow (2012-2017) at the University of Otago Christchurch, New Zealand. He leads the CReaTE Group within the Department of Orthopaedic Surgery and is currently Director of the University of Otago Centre for Bioengineering & Nanomedicine. He is Principal Investigator within the Medical Technologies Centre of Research Excellence (MedTech CoRE). This talk will highlight the development of novel bio-inks and 3D bio-printing technology to deliver cell therapy solutions for Regenerative Medicine of cartilage and bone, and the translational R&D taking this exciting technology to commercial and clinical application. Director of the Centre for Bioengineering at the University of Otago Christchurch. At CERN he is a member of the Medipix3, Medipix4, and CMS collaborations. At the University of Canterbury, he is a researcher in the Department of Physics and Astronomy. In 2007 Anthony Butler was one of the founders of MARS Bioimaging Ltd, a company formed to commercialise spectral imaging technology. He remains on the board and is the Chief Medical Officer. The MARS technique provides 3D colour (spectral) X-ray images of biological tissue. This enables researchers and clinicians to study diseases in new ways. MARS technology research spans particle detector development, design of imaging equipment, medical mathematics, and data visualisation.